Nestled in the leafy suburb of Meerensee and only 2-hours north of Durban. 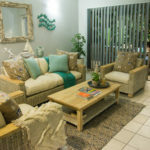 The 66-bedroom Indaba Lodge & 6 spacious self-catering apartments are ideally located for both the Corporate and Leisure Traveller within easy reach of the CBD, Harbour and Waterfront; and a mere 5-minute walk to Alkantstrand Blue Flag Beach. On arrival at Indaba Lodge Richards Bay, one immediately appreciates the deep shade created by the towering Leopard Trees which frame the modern façade of the hotel. 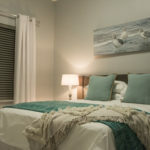 A warm welcome with friendly smiles and an ice-cold beverage awaits you as you enter the cool, spacious interior of the hotel before being whisked to your en-suite room. The hotel complex features 6 spacious self-catering Mediterranean style apartments – perfect for the longer stay Corporate Traveller or leisure family market. 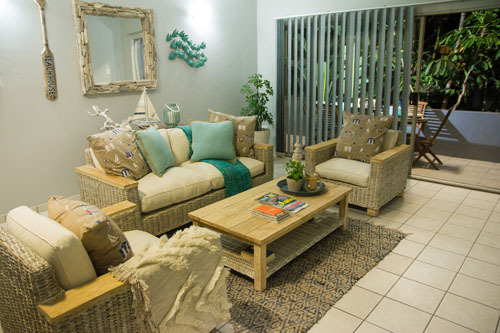 The Indaba Lodge Richards Bay also boasts The Retreat Spa – a wellness sanctuary specialising in a variety of beauty, wellness and massage therapies. This tranquil spa with its secret garden and bubbling water features is the perfect place to indulge in a little “me time” pampering. Feeling peckish? 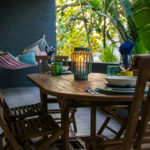 No need to leave the comfort of the hotel with the popular Trevally’s Restaurant offering a seasonal Dinner Buffet and delicious Bistro-style a la carte menu which will please even the most discerning guest. For a more informal option, enjoy a delicious light meal on the deck or a Craft Beer or Sundowner Cocktail at our ice-top bar.